Strident but melodic post-punk noise. 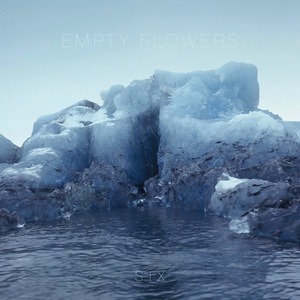 Comprised of seven tracks filled to the brim with monolithic but melodious noise, Empty Flowers’ debut SIX should sufficiently cement the East Coasters as formidable forces on the scene. Christian McKenna (vocals), Randy Larsen (guitar), Bernie Romanowski (bass) and Drew Juergens (drums) provide for a complex yet distilled attack, furthering the notion that SIX is the sound of seemingly contradictory elements colliding underwater. From the initial swells of noise to the pop-like beauty of later numbers, this is certainly a record of more than one stylistic note. Empty Flowers has earned comparisons to the likes of Fugazi, Hum and Slint, but they’ve wasted little time in carving their own initials into the iceberg. After all, with foundations in bands like Cable and Zodiak, the full-blooded partiality toward creating sustaining and impactful music goes without saying. “Resonate” is first out of the box. Thundering drums and guitar feedback fill space as the cut lurches forward like the undead emerging from their tombs. The strain increases with every bang and the noise amplifies until McKenna’s sifts through the smoke like an incoherent zealot, thrusting into the mix with scowls and shouts. From that relatively foreboding starting point, SIX seems to shift gruffly on the buzzy and tuneful title track. Gritty guitars and adamant drums provoke garage rock air, while McKenna’s rough voice repeats “I know you’re out there somewhere” before swinging down a milder path. Throughout SIX, Empty Flowers demonstrate their ability to slither from tenacious noise to pop sensibility by way of garage grime. “Ice on Wings,” for instance, starts as a slack and murky jam with gangling guitar and clattering cymbals. McKenna’s fluid vocals drop distinct phrases that dance outside melodic lines, but the arrival of the song’s core suggests a treasure of songcraft. The beautiful “Call a Priest” follows the same vein, revealing that these Empty Flowers are on to something special with their debut. Few bands manage to manipulate the unpleasant and the lovely within the same confines, after all, and this quartet’s facility to do so suggests a vulnerability and resolve not to be missed.